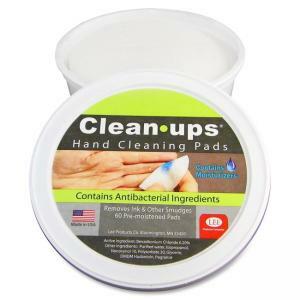 Clean-ups are specially formulated, hand-cleaning pads that quickly remove ink and copier toner from hands or hard surfaces without the use of water. 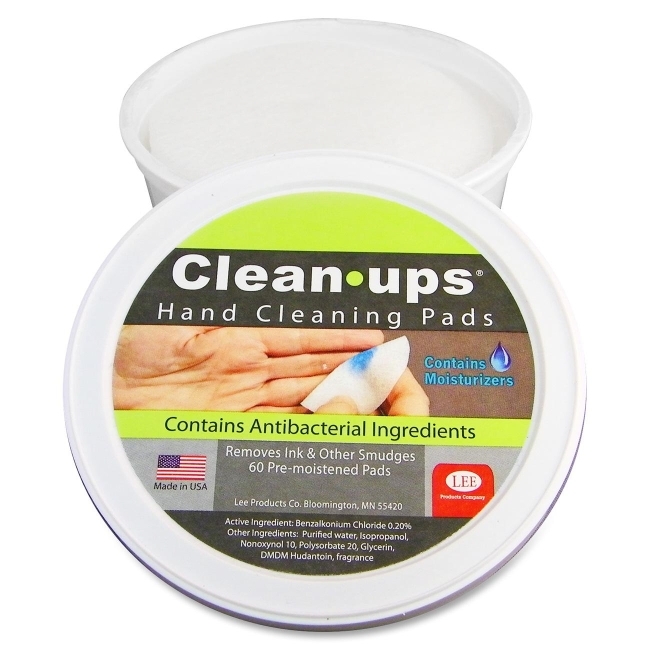 Versatile, 3" diameter pads can also be used to clean desktops, machines, tools and other hard surfaces. The convenient size minimizes excess waste. Pre-moistened pads contain two moisturizers so they won't dry out skin and isopropyl alcohol so they also serve as an antibacterial hand cleaner. Resealable plastic container prevents pads from drying out.